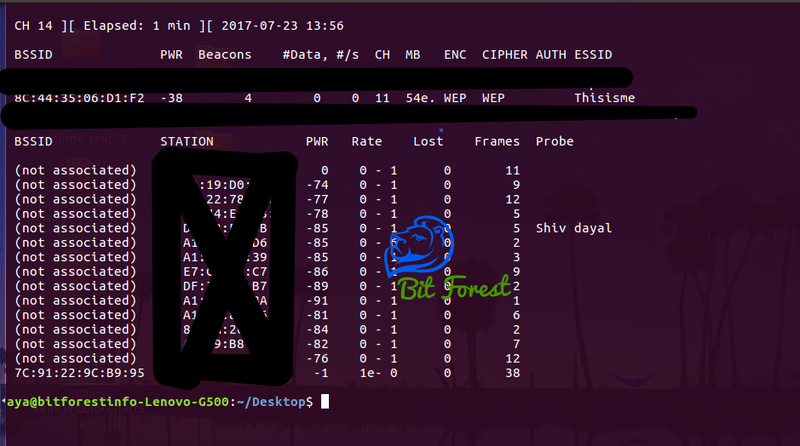 Today, In This Post I Am Going To Show You How To Crack WI-FI (WEP Encryption) Password Using Airmon-ng In at most 5-15 minutes. 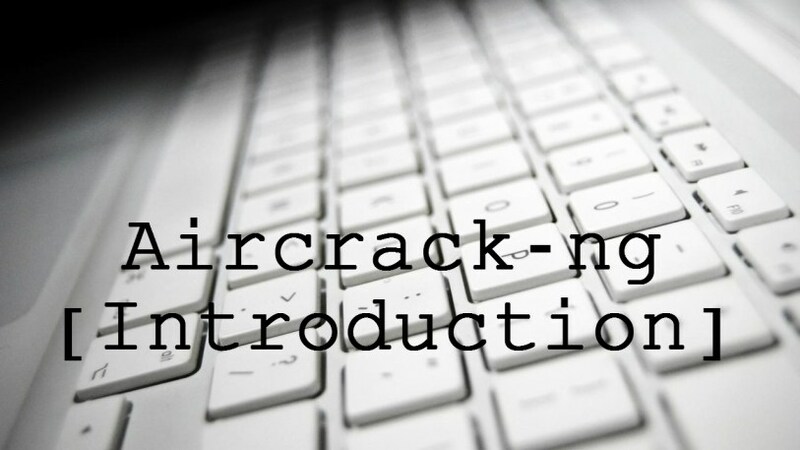 Aircrack-ng is a network software suite that allow us to do many tasks related to wireless technologies like detector, Packet Sniffers, WEP And WPA/WPA2-PSK Crackers, WEP And WPA/WPA2-PSK Analysers and Many Other Wireless Testing Functions And Tools For 802.11 Wireless LANs. So, Let's Start Our Tutorial . 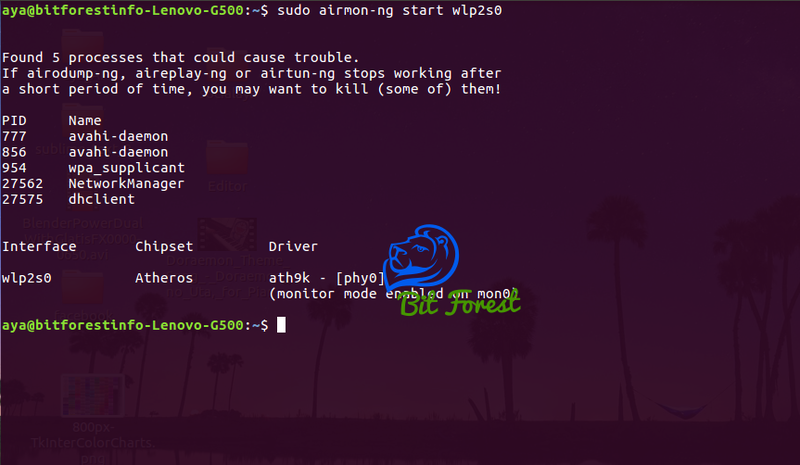 Enable Wireless Card Monitor Mode Using Airmon-ng. First We Need To Enable Our Wireless Card Monitor Mode Because With The Help Of Monitor Mode Interface Our Wireless Card Easily Can Capture Live Traffic Packets From Around The Air. 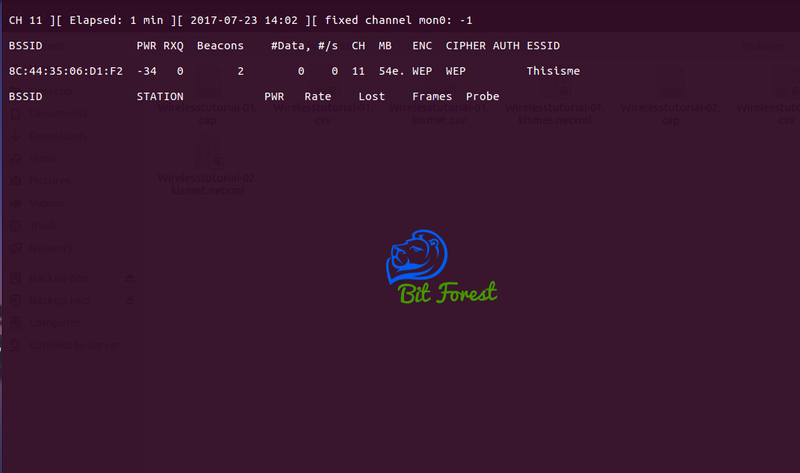 To Start Monitor Mode, Type Below Commands In Terminal. After Enabling Monitor Mode.. You Also Need To Remember Monitor Mode Interface Name. Usually it will 'mon0'. Now, Run Airodump-ng To Capture and Monitor All Available Wireless Devices Traffic. After Enabling Monitor Mode. We Will Try To Find MAC Address And Channel Number Of Our Target Access Point. To Do This Work, We Will Use Airodump-ng. Airodump-ng is like a Wireless Traffic Analyser That's Provide Us A Well Managed Output Of Captured Traffic. 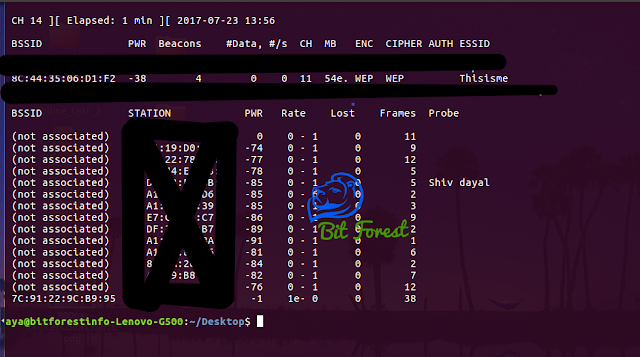 Now, As You Can See In Below Screen shot Airodump-ng is Showing various Access Points And Client MAC Addresses With Other Useful Information's. So, From This Terminal, You need to note your target (Access Point) Mac Address And Channel Number For Future Procedure. Now, We Need To Completely Focus Our Airodump-ng To Our Target Access Point And Also Need To Save All Captured Traffic In A File To Crack WEP Passwords. As You Can See, Now Our Airodump-ng is Completely Focusing On Our Specific Target Access Point Traffic And Also Saving All Traffic In .cap files. But, To Make Our Attack Successful, Their Is One More Requirement, To Crack WEP Password We Need To Capture Large Amount Of Data Packets. And To Generate More Data Packet Between Client And Access Point We Will Use Aireplay-ng. Aireplay-ng also another part of Aircrack-ng Suite. Here, At This Time We Will Use Aireplay-ng To Create Spoof ARP Response For Our Access Point. This ARP Response Will Force Access Point To Reply Back and Generate More Data Packets and Traffic That Will Allow Us To Crack WEP Encryption. Basically, Here Airecrack-ng Will Capture ARP Request And Inject Them Back Into The Network To Simulate ARP response. After Few Moments, You Will Notice Aireplay-ng To Capture And Reply Back ARP Packets. These Packets Will Force Access Point And Client To Generate Large Traffic For Our Airodump-ng Sniffer. Ohh Yes! This Is The Time Of Real Cracking. Now, Open A Separate Terminal And Type Below Commands and wait, Let Aircrack-ng To crack Encryption.